Greetings! It's Friday; it's Friday! But almost as exciting ... It's Payday; It's Payday!! Other than a monthly trip to Costco tomorrow, I'm going to splurge (I think) on some Thirty-One bags for my new planner. 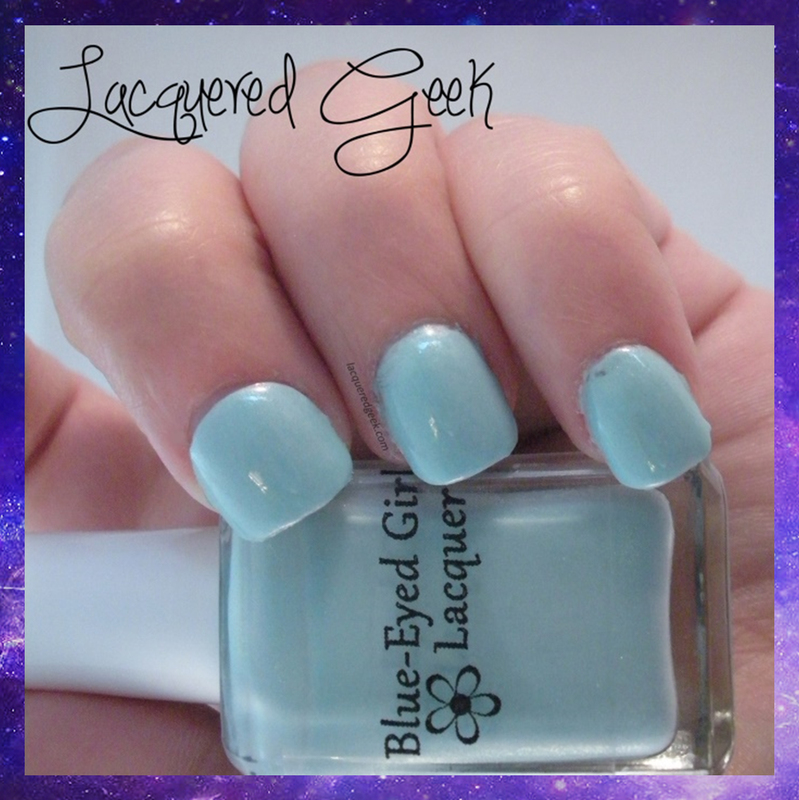 Today I want to share with you this beautiful polish from Blue-Eyed Girl Lacquer - Monster's Tea at Tiffany's! 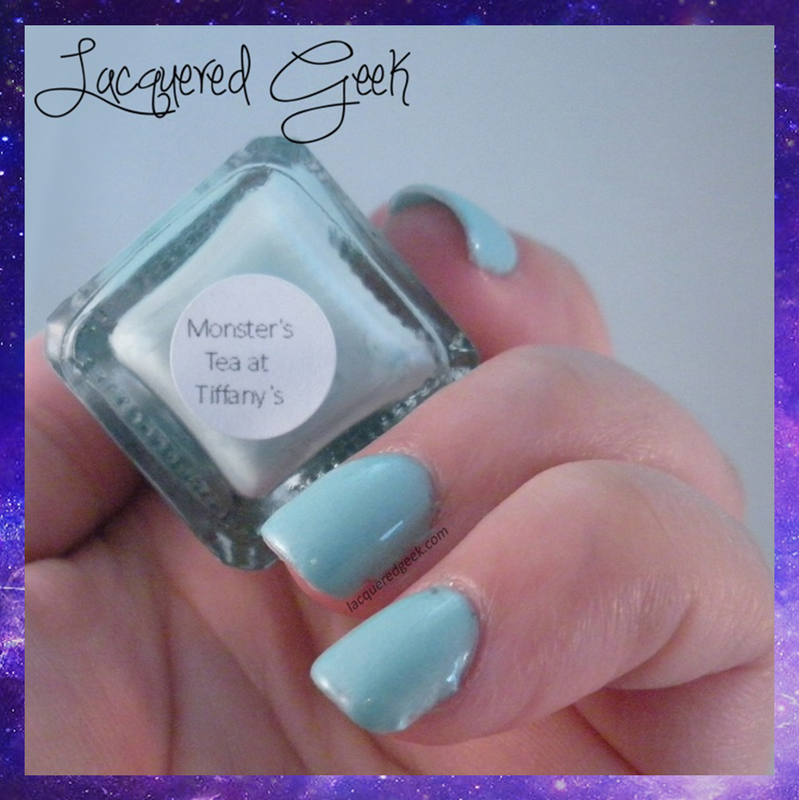 Monster's Tea at Tiffany's is a beautiful Tiffany blue/mint green polish. It has a subtle green shimmer that I was unable to capture despite a multitude of attempts! I've seen other photos of this polish that shows it as a stronger turquoise, but it was much more delicate for me. The formula was consistent with other BEGL polishes. Her polishes tend to be a little thicker side. Knowing this, I added a couple of drops of thinner to the polish before applying it. I wore 3 thin coats plus top coat on these photos. Isn't this just a pretty polish? It's not currently available from BEGL, however sometimes she will bring back fan favorite colors (that's how I picked this one up), and there's always blog sales. You can follow her for updates and sneak peaks of new collections. I'll be showing The Ladies of Peter Pan duo collaboration between BEGL and Sweet Heart Polish very soon! So what are your weekend plans? Are you doing anything fun, or just going to relax?